During the course of Earth’s evolution, continents collided and merged into supercontinents and then separated again into individual plates. This collision resulted in the development of many mountain ranges: the relatively young Himalaya massive and the Alps (50 to 5 Ma), as well as older ranges in middle Europe such as those in Schwarzwald, Vogesen and the Bavarian Forest (380 to 320 Ma). Reconstructing the events causing these collisions (along with plate configurations from even older time periods [e.g. > 500 Ma]) is an exciting challenge for the earth sciences. Although evidence of older deformation phases has been partly effaced by that of younger plate tectonic events, application of combined methods such as geochronology, petrology and geochemistry makes it possible to reconstruct the history of specific geological sites, particularly in zones of continental collision and/or separation in former times. The field of structural geology also plays an important role in this work; Stresses acting on the earth’s crust have deformed rocks causing development of new structures. 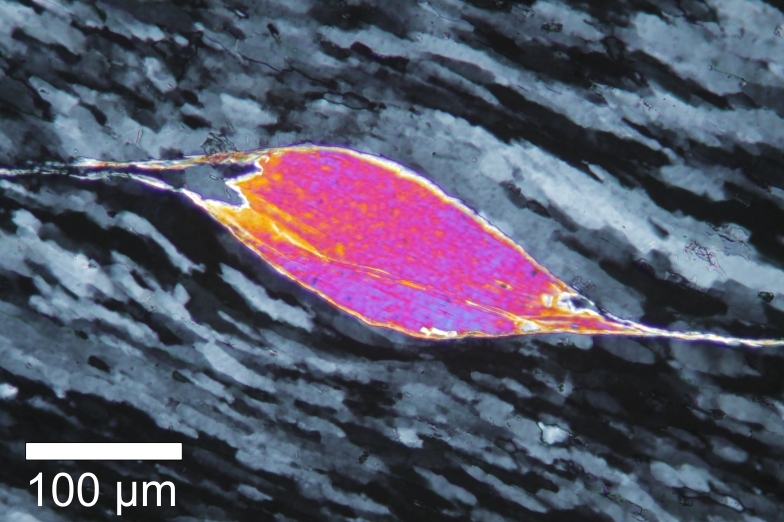 The overprint of younger deformation events on older structures can often be identified only by means of microstructural analyses of thin sections of rock. Scharfenberg, L., & de Wall, H. (2016). Natürliche Gammastrahlung von Graniten in der Oberpfalz (Nordost-Bayern) – Vergleich von aerogeophysikalischen und in situ gammaspektrometrischen Messungen. Geologische Blätter für Nordost-Bayern und angrenzende Gebiete, 66(1-4), 205-227.
de Wall, H. (2011). Tectonic evolution of the central steep zone, axum area, Northern Ethiopia: Inferences from magnetic and geochemical data. de Wall, H. (2010). Das GEO-Zentrum an der KTB: Informations- und Bildungseinrichtung in der Nachfolge eines nationales geowissenschaftlichen Großprojektes. Geologische Blätter für Nordost-Bayern und angrenzende Gebiete, 60, 199-208.
de Wall, H. (2009). Lernort Geologie. München/Erlangen: Hrsg. : Bayerisches Staatsministerium für Umwelt und Gesundheit (StMUG), Staatsinstitut für Schulqualität und Bildungsforschung (ISB) & GeoZentrum Nordbayern der FAU Erlangen-Nürnberg (GZN). de Wall, H. (2007). 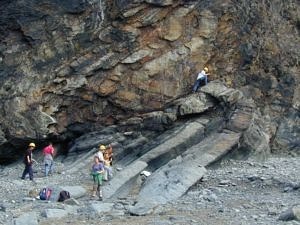 Cryptic fabrics in epiclastics of the Sindreth Group: evidence for late- Neoproterozoic deformation in the western foreland of the Delhi Fold Belt, NW-India. Beringeria, 367, 33-40.
de Wall, H. (2007). 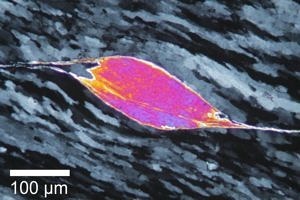 Petrography and shock-related remagnetization of pyrrhotite in drill cores from the Bosumtwi Impact Crater Drilling Project, Ghana. Meteoritics & Planetary Science, 4/5, 811-827.
de Wall, H. (2006). Influence of titanomagnetite composition on the magnetic anisotropy in a dyke-sill complex in Hungary. In Abstracts of the Lasi II: Physical geology of subvolcanic systems: Laccoliths, Sills, and Dykes. Portree, Isle of Skye, Scotland. April 1st3rd 2006 (pp. DOI 10.1007/s10069-006-0002-z). Portree, Isle of Skye, Scotland. de Wall, H. (2006). Lithologierekonstruktion von submarinen Einheiten des Mauna Kea Vulkans mit bohrlochgeophysikalischen Messungen der magnetischen Suszeptibilität, HSDP Bohrung, Hawaii. In 11. Symposium "Tektonik, Struktur- und Kristallingeologie" (pp. 12-16). Göttingen: Univ.-Verl. Göttingen. de Wall, H. (2006). Magnetic characteristics of the Ság-hegy volcanic complex, little Hungerian Plain. In Physical geology of subvolcanic systems: Laccoliths, Sills, and Dykes. Portree, Isle of Skye, Scotland (pp. DOI 10.1007/s10069-006-0002-z). Portree, Isle of Skye. de Wall, H. (2006). Magnetische Suszeptibilitätsmessungen an Gängen vom Ostrand des Hauzenberger Granitplutons  Bayerischer Wald. In 11. Symposium "Tektonik, Struktur- und Kristallingeologie" (pp. 224-226). Göttingen: Univ.-Verl. Göttingen. de Wall, H. (2006). Origin of magnetic anomalies in volcaniclastic units of the Messel maar-diatreme (Germany). In Goth, K. & Suhr, P. (eds. ): Geophysics of maars and diatremes. Zeitschrift der Deutschen Gesellschaft für Geowissenschaften, 157, 373-385.
de Wall, H. (2005). Erste Ergebnisse von Suszeptibilitätsmessungen an Vulkaniklastika der Forschungsbohrung Messel. Zeitschrift der Deutschen Gesellschaft für Geowissenschaften, 155, 343-352.
de Wall, H. (2005). Rekonstruktion orbital gesteuerter Klimaschwankungen  eine Fallstudie an pelagischen Karbonaten der norddeutschen Oberkreide. Zeitschrift der Deutschen Gesellschaft für Geowissenschaften, 155, 311-328.
de Wall, H. (2004). Development of magnetic fabrics during hydrothermal alteration in the Soultz-sous-Forêts granite from the EPS-1 borehole, Upper Rhine Graben. Bestmann, M. (2003). FEG-SEM and STEM investigation of high temperature FeCrAl(RE) alloys. Journal of Corrosion Science and Engineering, 6. Bestmann, M. (2003). EBSD at high temperatures in metals and minerals. Microscopy and Microanalysis, 9, 78-79.
de Wall, H. (2000). Case studies on the use of temperature-dependent susceptibility for the characterisation of magneto-mineralogical changes during metamorphism. PHYS CHEM EARTH PT A , 25(5), 421-429.
de Wall, H. (2000). Magnetic susceptibility measurements for the petrographic characterization of Granitoids: Comparison of field and laboratory measurements in the Saghro region of the anti-Atlas of Morocco Magnetische Suszeptibilitätsmessungen zur petrographischen Charakterisierung von Granitoiden - Vergleich von Feld-undlabormessungen (Saghro-Gebiet, Anti-Atlas, Marokko). Zeitschrift für Angewandte Geologie, 46(4), 223-230.
de Wall, H. (2000). Mineralogy and magnetic behavior of pyrrhotite from a 260°C section at the KTB drilling site, Germany. American Mineralogist, 85(10), 1416-1427.
de Wall, H. (2000). Remagnetisation and magnetic refraction in proterozoic dykes from Central Scandinavia during Caledonian deformation. PHYS CHEM EARTH PT A , 25(5), 519-524.
de Wall, H. (1997). Basement structure in Eastern Egypt: quantitative perspectives for the second century. (pp. 289-302). de Wall, H. (1997). Formation of ore minerals in metamorphic rocks of the German continental deep drilling site (KTB). Journal of Geophysical Research: Solid Earth, 102, 18323-18336.
de Wall, H. (1997). Quantitative Relationship between Low-Field AMS and Phyllosilicate Fabric: A Review. Physics and Chemistry of the Earth, 22, 153-156.
de Wall, H. (1997). The KTB superdeep borehole: petrography and structure of a 9-km-deep crustal section. Geologische Rundschau, 86, 3-15.
de Wall, H. (1995). Tectonic implications for the German Continental Deep Drilling Program (KTB) derived from paleomagnetic studies on lamprophyres. Zentralblatt für Geologie und Paläontologie, Teil I, Geologie, 5/6, 523-527.
de Wall, H. (1995). Postvariszische Krustenstapelung am Westrand der Boehmischen Masse; Geologische Interpretation des 9,1 km tiefen KTB-Krustenprofils. Geowissenschaften, 13, 135-141.
de Wall, H. (1994). KTB Oberpfalz - einige Ergebnisse der geowissenschaftlichen Bearbeitung. Zentralblatt für Geologie und Paläontologie, Teil I, Geologie.